HP has unveiled two new monitors that come under the Compaq brand – the HP Compaq L2206tm and the HP Compaq LA2405x. Designed for high-traffic and customer-facing areas the first model is a multi-touch monitor with a 21.5-inch diagonal LED screen with optical touch performance with three sensors for on-the-spot touch recognition. The display supports finger input or passive stylus input for improved precision in drawing and handwriting applications, plus height, tilt and pivot adjustments. Specs-wise the HP Compaq L2206tm features 1920×1080 resolution, 220 cd/m2 of brightness, 1000:1 contrast ratio and 170/160 degree viewing angles. There also are VGA, DVI-D and DisplayPort ports as well as 1 W built-in speakers, a 2-port USB hub, one audio-in and one audio-out jacks. 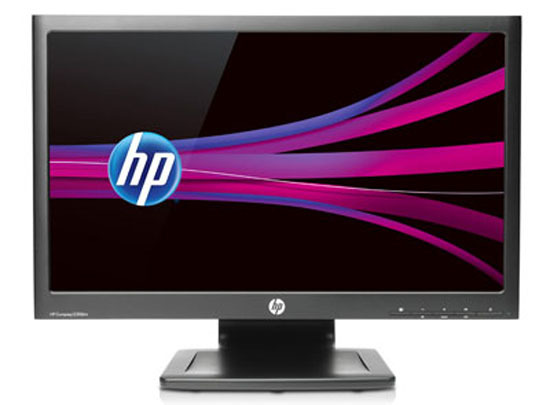 The HP Compaq LA2405x is just a standard monitor with a 24-inch screen that works at 1920×1080 pixel resolution. Other features include 1000:1 typical contrast ratio, 300 cd/m2 brightness and 5 ms response time. Input-output options include VGA, DVI-D and DisplayPort. The HP Compaq LA2405x is now available for USD 269 while the HP Compaq L2206tm starts at USD 279 and is expected to be available on June 4 this year.